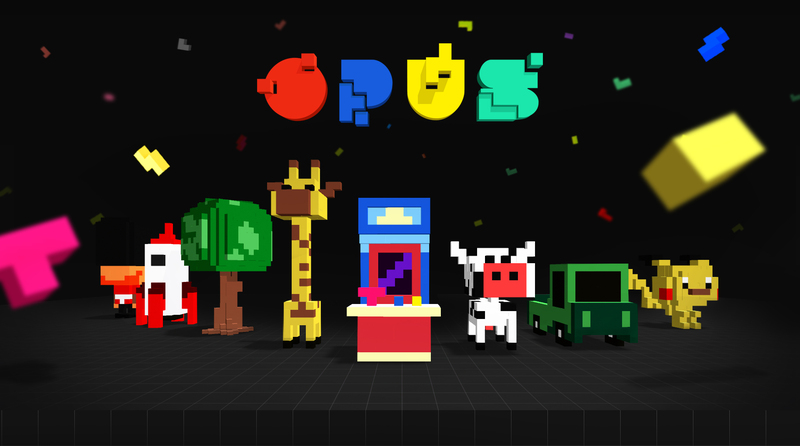 Opus is more likely a journey which transports the user from a structured and tidy environment to a destructured and chaotic world. Colors, volumes and space are constantly redefined all along the experience by the user’s actions. The experience is driven by a balance between creation and destruction where the music immerses players into a world which is neither ruled by time, score or ending. Users dive into a simulation where they have the power to change the environment using specific hand gestures. Surrounded by giant shapes looking like toys, users might feel like they are in the middle of their childhood’s playthings. Destroying and creating shapes will release and mix the blocks they are made of to create unique and abstract 3D canvas. Capturing cubes allow users to spawn new shapes using a 3D interface. 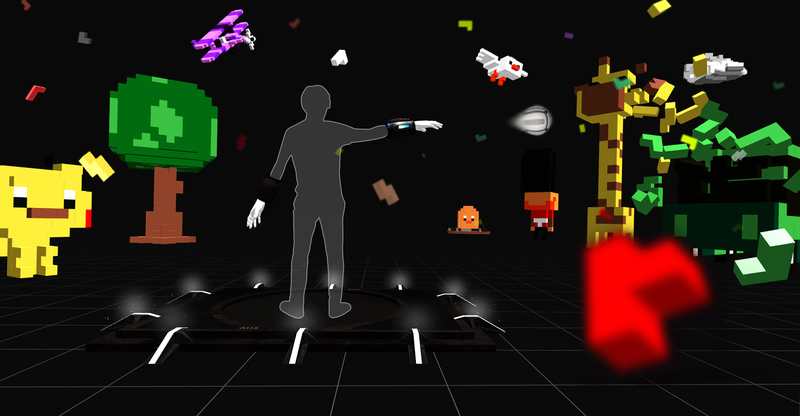 Players’s right hand is used to shoot a canonball when rotating left hand will open the 3D interface to create new shapes.